Angela Russo finds herself in Maine thanks to a sailing instructor, an impulse, and an idea that in Maine, people live "the way life should be." But reality on Mount Desert Island is not what she expected. Far from everything familiar, Angela begins to rebuild her life from the ground up. Relying on the flair for Italian cooking she inherited from her grandmother, she begins to discover the pleasures and secrets of her new small community—and to connect her heritage to a future she is only beginning to envision. By far, the most relatable book by Christina Baker Kline. My heart absolutely attached itself to Orphan Train, but The Way Life Should Be was written with intentions of speaking to my 20-something-year-old self, and ALL of those younger and older who have reached a snag in their life-a point where the right path seems to have side roads, some leading in the same direction, and some going in the complete opposite way. The Way Life Should Be was an exploration of those other roads, of finding out that what you thought was right for you, was only right for a short time. That the only way to find your true path, is to encounter a few dead ends first. Angela Russo, at 33, doesn't pretend to have it all, nor know it all. She's found a comfortable routine in her job as an Event Planner in New York City, and from growing up with her grandmother, boasts a pretty mean skill in the art of Italian cooking. However, there are missing pieces, voids residing within her that only a good narrative could help her explore. On a whim at work one day, Angela signs up for an online dating site, and immediately connects with Rich, a rugged sailing school teacher living on the coast of Maine. When a catastrophe hits, as it tends to do, Angela packs it all up and hits the open road, heading toward a seemingly perfect life: a great man, and a new town to spread her wings in. But, she is soon given a strong dose of reality, and finds herself scrambling to pick up the pieces of her shattered dreams. Angela will have to rely on familiar instincts, and a new-found strength of soul if she plans on creating a new future-different from the one she expected, but perhaps the one she always needed. I appreciated the cold slap of reality that was dished out so early on in this novel. It veered so refreshingly far from narratives that don't reveal the big shake up until the middle, or end, of the book. The Way Life Should Be began with disappointment, and slowly rebuilt itself from there. I cringed at Angela's failures, but making her so vulnerable, so soon, only made me love her character more. She was a real person, with a real job, making some very relevant mistakes. Kline's side characters were equally as likable, if not more. Flynn, the gay small-town coffee shop owner was just my kind of witty, and immediately became my favourite. I kept wanting Angela to meet new people, just so I could see how they would be fleshed out, what their dialogues would be. A light read, but one that provided a surprising amount of entertainment and insight. Now that I am one book away from experiencing all of Kline's works, I can say with certainty that she has successfully proven herself as a multiple-genre author. Her narratives can easily be picked up by readers of all tastes, especially those looking for something that can be read in one sitting. Recommended for Fans of: Women's Fiction, "Chick-Lit," Contemporary, Romance, Cultural Fiction, Emily Giffin, Sophie Kinsella, Tish Cohen, Kristen Hannah. 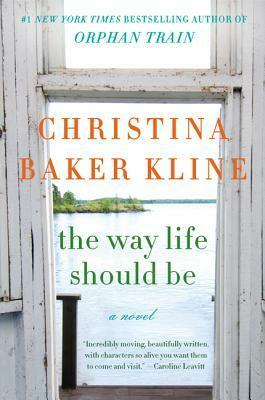 Christina Baker Kline, the author of five novels, grew up in Maine, England, and the American South. 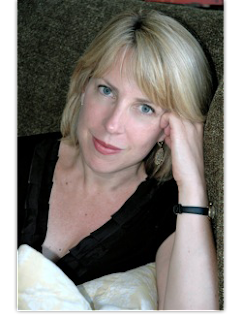 She is married to a Midwesterner whose family history inspired her new novel, Orphan Train (April). Set in present-day Maine and Depression-era Minnesota, Orphan Train highlights the real-life story of the trains that between 1854 and 1929 carried more than 200,000 abandoned children from the East Coast to the Midwest. Kline imagines the journey of one such child, Vivian Daly, an Irish immigrant whose fate is determined by luck and chance. Orphan Train is the story of an unlikely friendship between 91-year-old Vivian Daly, whose experiences are far behind her, and Molly Ayer, a 17-year-old Penobscot Indian girl whose own troubled adolescence leads her to seek answers to questions no one has ever asked. I'm so pleased to see that you loved this book and can recommend the authors books so highly! Books like this make me look inward about my own life, and are ultimately what I love best about reading.